What is Content Marketing and Where Do We Start? What is content marketing and why is this considered the most effective starting point for beginning digital marketing? Does it take time for content marketing to work? What is the starting point? These questions often come up in conversations surrounding this type of marketing. It is important for business owners to know what it is and how to make it happen. So, what is content marketing? It is marketing communication which uses high quality content to attract, engage, and acquire a target audience. The aim is to entice the audience into becoming leads or customers. This type of marketing does not interrupt the targeted customer like a banner ad or radio spot would. It engages and entices the visitor to explore the web site further and to learn more about the company and its products. 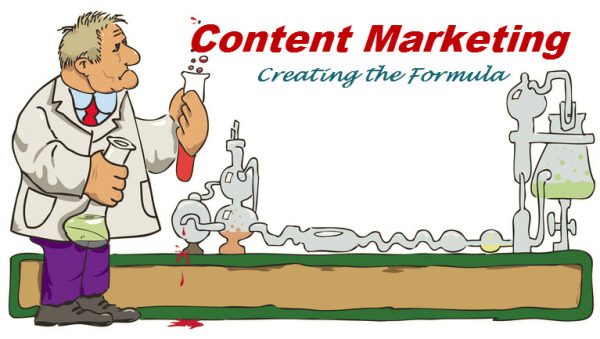 How do you effectively perform content marketing? There is a definite path to do this type of marketing. In order for search engines to find your content and love it, it needs to target critical keywords. When you write content, you need to have a keyword you integrate into a single piece. That keyword is what visitors type into a search engine to find a site like yours. First, make a list of seven to ten keywords that you know pertain to your niche. For example, if you sell cell phone accessories, your keyword list might include "cell phone," "cell phone accessories," "car chargers," and "mobile accessories." This first list is your starting point. Go to Google's Adwords keyword research tool. A form will come up. At the top enter the keywords into the "Word or Phrase" box. Leave the rest of the options alone and then hit "Search." This will bring up your list of keywords with some columns next to it. For each keyword, look at the number of "Global Monthly Searches." Ideally, your keywords will have at least 25,000 hits each month. The next column to consider is the "Competition." Ideally, your competition will be "Low." Now, you may find all your keywords are "High" for competition. For a niche like cell phone accessories, almost all keywords are going to have a high competition level. Under the list of keywords you provided, you will see a list of keyword ideas that Google generated. That list offers you more keywords to consider. Again, use the Global Monthly Searches and the Competition columns to find the best matches with high search numbers and low competition. You can take any of the keywords that Google generated as ideas and run them back through the Adwords tool. That will give even more keyword ideas to sift through. You can run as many of these words through as you would like. To further your keyword search, here are a couple of suggestions. First, think of any synonyms for your keywords. For example, another name for a cell phone is mobile phone or cellular phone. This will expand the keyword search further. Second, do not dismiss long-tail keywords with a smaller traffic numbers. Those long-tails often have lower competition and offer a steady stream of traffic to your site. You need to whittle down your keywords to between 15 and 20. This will give you plenty of keywords from which to start writing content for your website. So... what is content marketing and most importantly, what is required? Just remember, it all starts with providing high quality content to attract, engage, and acquire a target audience. Keyword research is the starting point and foundation for generating effective content marketing. Without it, your efforts will not give you the results you want. For more tips, be sure to check out our website Catapult Digital Marketing or download our free Catapult Inbound Marketing Methodology for this process.